Located in the Indian Ocean off East Africa just northeast of Madagascar lies the Seychelles – an archipelago of 115 idyllic islands. 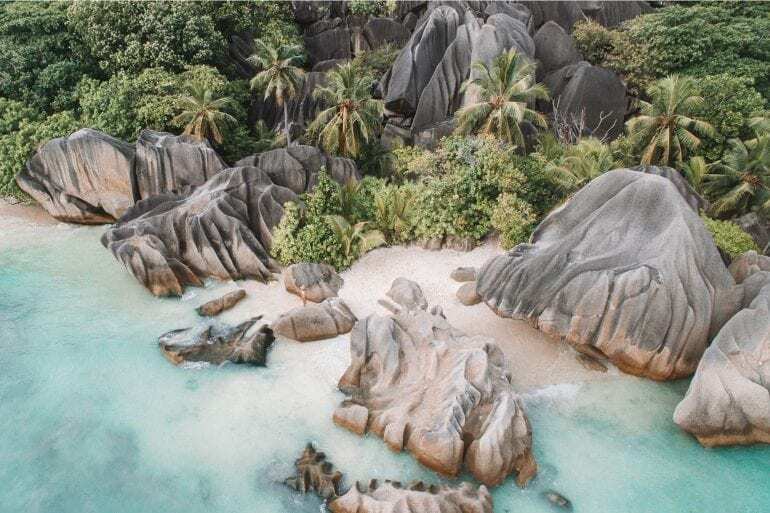 With a pre-historic tropical landscape and an abundance of wildlife, the Seychelles is one of the most unique island designations in the world. From rare giant Aldabra tortoises and the incredible Vallée de Mai – a UNESCO jungle of giant palms that’s home to the famous Coco de Mer pal which is the bearer of the largest seed in the plant kingdom, to the surreal rock formations on Anse Source d’Argent Beach and crystal clear waters teaming with marine life, the Seychelles is unlike any other island nation on the planet. 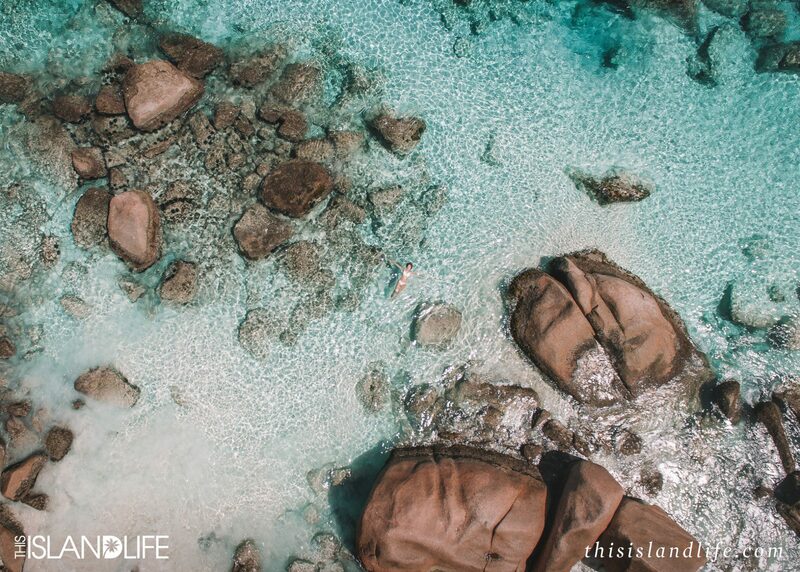 Take a look at the Seychelles for yourself with my 10 favourite drone shots from our island hopping adventures across La Digue Island, Praslin Island and Mahé Island. 1. 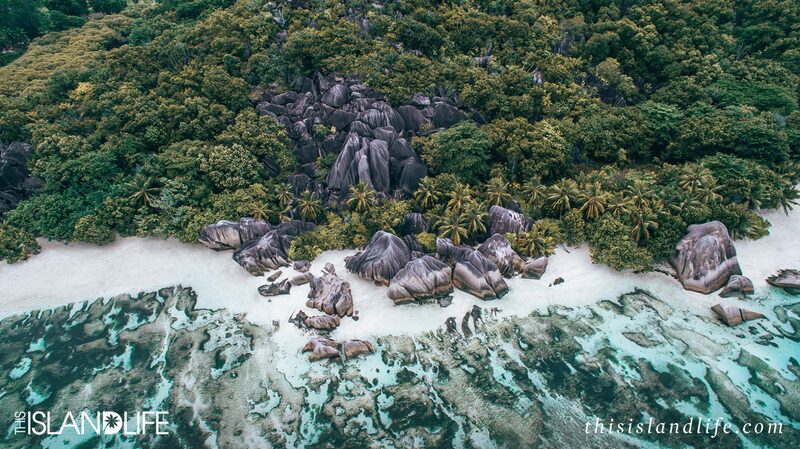 The surreal rock formations on Anse Source d’Argent Beach in the Seychelles. 2. 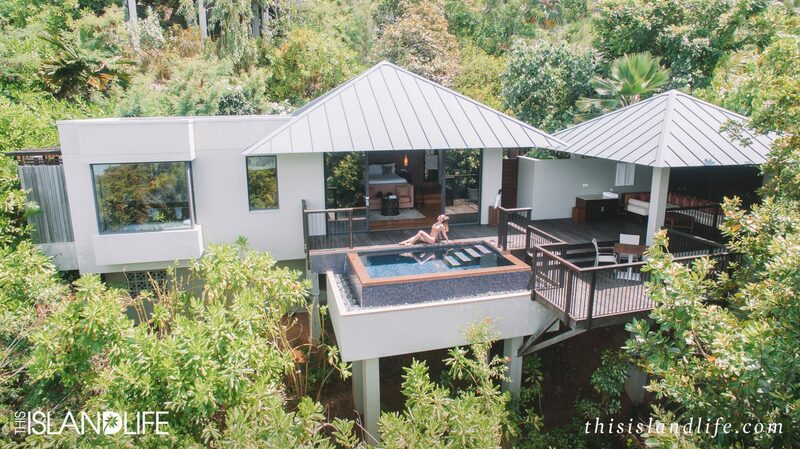 The luxurious private pool villas at Raffles Seychelles on Praslin Island. 3. 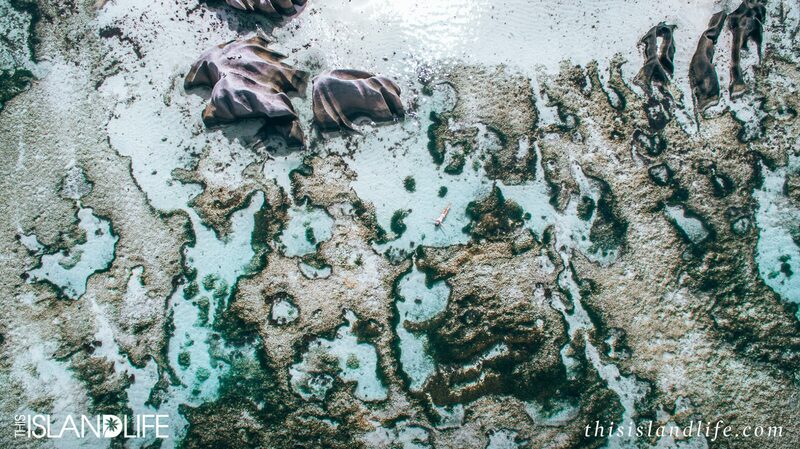 The crystal clear waters of Anse Lazio Beach on Praslin Island in the Seychelles. 4. 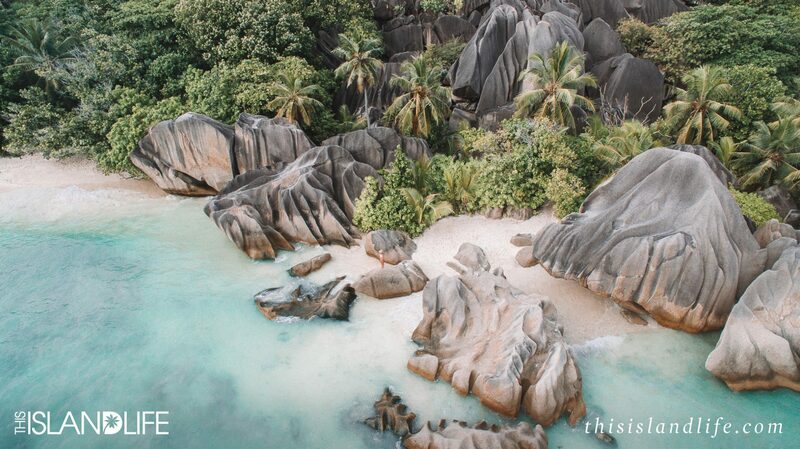 Lush tropical jungle and dark granite rocks – La Digue Island is a real life Jurassic Park. 5. 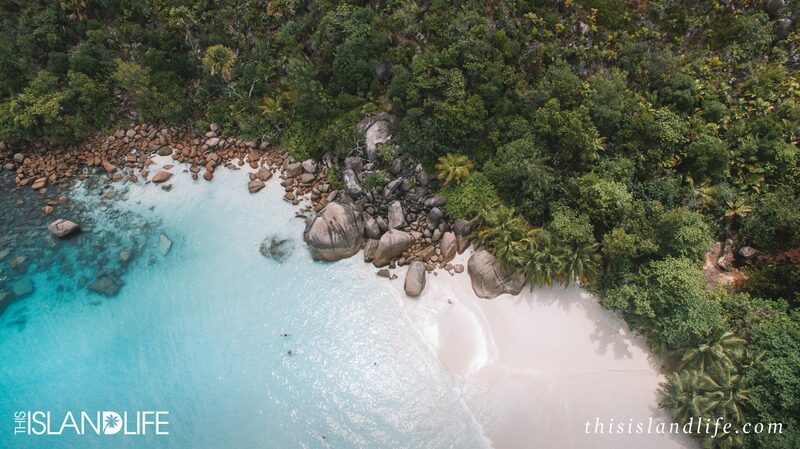 Bright aqua ocean laps the powdery white shores of Anse Lazio Beach on Praslin Island. 6. 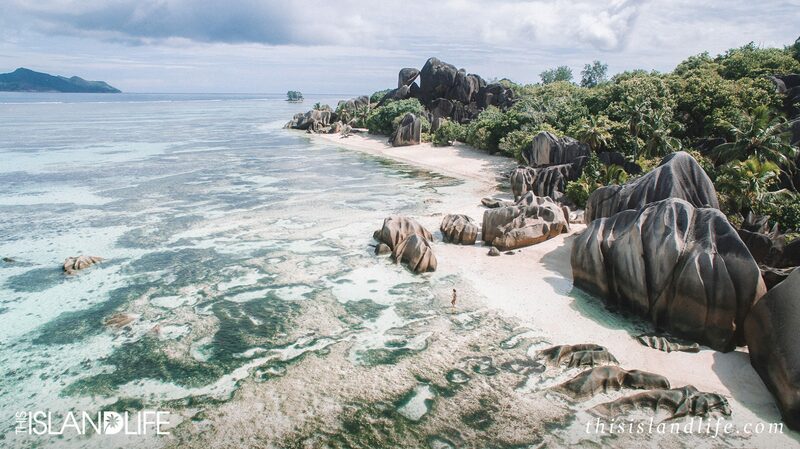 There’s a reason why Anse Source d’Argent on La Digue Island is the most photographed beach in the world. 7. 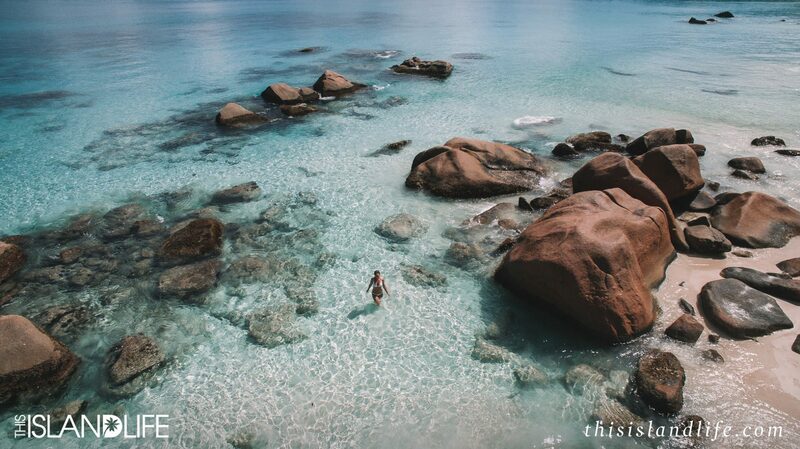 Salt water therapy in the warm waters of Anse Lazio Beach on Praslin Island in the Seychelles. 8. 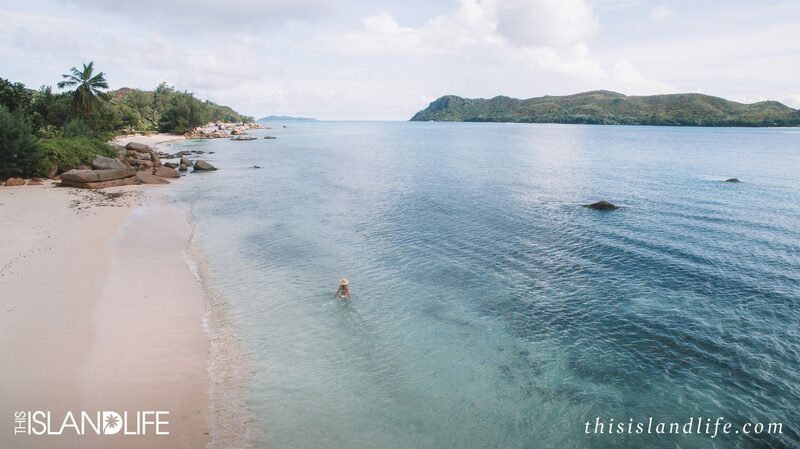 The beautiful private beach at Raffles Seychelles on Praslin Island. 9. 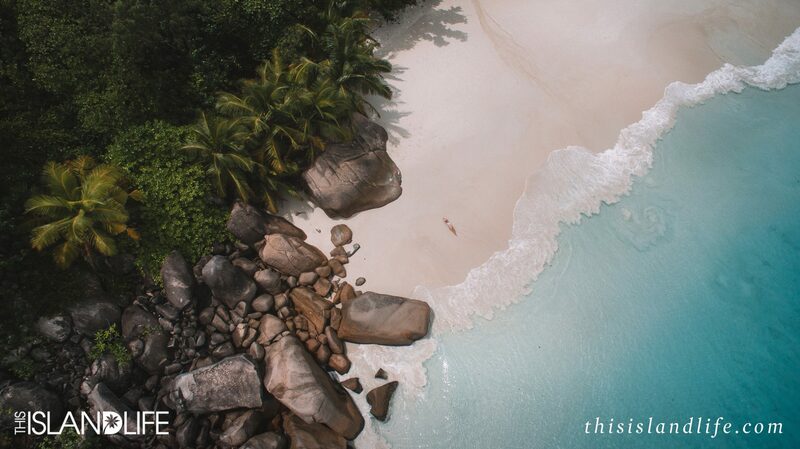 Lush tropical jungle fringes the powdery white sands of Anse Lazio Beach on Praslin Island. 10. Low tide on Anse Source d’Argent Beach – the most photographed beach in the world.